Jeffrey Silberschlag has distinguished himself in the world of music, performing as a conductor and trumpet soloist throughout Europe, the United States, Russia, China, Japan, and Israel. His performances have been described as "compelling" by Germany's Kölnishce Rundschau; "extraordinary" by Italy's L'Arena; and "outstanding" by Fanfare magazine. 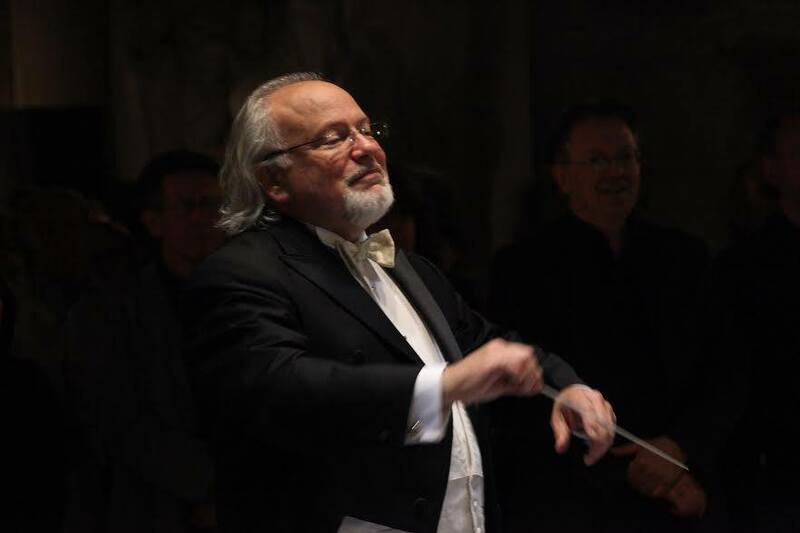 Mr. Silberschlag is music director and conductor of the Chesapeake Orchestra and River Concert Series and co-director of the Alba spring festival held in Northern Italy. On November 15, 2011 at a performance in Prague, Mr. Silberschlag received the Prize for Artistic and Cultural Activities from European Union of the Arts for his lifetime achievement in classical music as a conductor and trumpeter. He serves as artistic director and head of music performance at St. Mary's College of Maryland and is the Steven Muller Distinguished Professor in the Arts. He has been a faculty member since 1988 and served as chair of the Music Department. He is also director of St. Mary’s College Alba, Italy program; and he has created a partnership between the College and the Royal Scottish Academy of Music and Drama. He is also artist-in-residence with the Maryland Youth Symphony. Mr. Silberschlag has appeared as guest conductor with the London Symphony Orchestra, London Philharmonic, St. Petersburg Soloists, Orchestra Filharmonici di Torino, Symphony Orchestra of Rumania, Bulgarian Philharmonic, La Scala Virtuosi, Prague Chamber Orchestra, Salzburg Chamber Orchestra, and the Moscow Academy Chamber Orchestra. He also collaborated which such soloists as José Cueto, Anne Akiko Myers, Mikhail Gantwarg, Hilary Hahn, Yi Jia Hou, and Lara St. John (violinists); Maria Kanyova (Mimi in NYC Opera’s “La Bohème” as seen on “Live from Lincoln Center”); Tonna Miller (Metropolitan Opera soprano); Maxym Anakushin, Bruno Canino, Brian Ganz, and Boris Slutsky (pianists); Giuseppe Nova and Yoshimi Oshima (flutists); Giampiero Sobrino and Jon Manasse (clarinetists); Catrin Finch (harpist); Judy Blazer (Broadway vocalist); Hillary Kole (jazz vocalist), Vonda Shepard (blues vocalist); and Ethel Ennis (Jazz vocalist). In addition, Mr. Silberschlag has combined musical genres by blending orchestra performances with such artists as Blues guitarist Linwood Taylor, the Paul Reed Smith Dragons, the No Class Today Bluegrass Band, and the Brazilian band, Grupo Saveiro. A recording of Boris Blacher’s chamber opera “Romeo and Juliet” with Mr. Silberschlag as conductor was released on Albany records to much accliam. He has directed premieres of works by such composers as Morton Gould, Lorenzo Ferrero, Ludovico Einaudi, Paul Chihara, Chou Wen-Chung, David Froom, Kenji Bunch, Judith Shatin, Scott Wheeler, Nathan Lincoln-DeCausatis, Lou Karchin,Vivian Aldenberg Rudow, and William Thomas McKinley. Mr. Silberschlag recorded William Thomas McKinley's "And the Presidents Said" with narrator Ben Bradlee and the London Symphony Orchestra at Abbey Road Studio. In a recent Fanfare review of the recording, Mr. Silberschlag was lauded as "a virtuoso trumpeter par excellence (whose) conducting is equally praise worthy." He has presented master classes at the Kyoto University of Performing Arts, Japan; the Prague Conservatory, Czech Republic; the Royal Academy of Music in London, UK; the Beijing Central Conservatory in China; the Aosta Institute for Music, Italy; and he has directed in performance the orchestra of the Cleveland Institute of Music. Jeffrey Silberschlag is also a prominent trumpet performer on the international music circuit and has recorded as trumpet soloist with the London Symphony Orchestra, Royal Liverpool Philharmonic, Seattle Symphony, Czech Radio Orchestra, Warsaw Philharmonic, and the Maryland Bach Aria Group. He held principal trumpet positions with the Italian National Symphony RAI-Torino; Jerusalem Symphony; and the New York City Opera-National Company. Recently he recorded as trumpeter and conductor with celebrated Scottish trumpeter John Wallace; Italian National Symphony-RAI trumpeter, Ercole Ceretta; Principal Trumpeter of the Baltimore Symphony, Andrew Balio; Principal Trumpet of the Mid-Atlantic Orchestra, Michael Adams; and Ross Wixon and Zachary Silberschlag with Scottish soprano, Marie Claire Breen.